What a beautiful & clean move in ready home. You can refer to this one as the hipster on the block with fresh paint inside & out and brand new beautiful wood floors that make the rooms pop! Long driveway to squeeze in your guest that will be coming to visit. As you enter the front door you enter the airy and bright living room, this is only the beginning. Moreover, as you wander through this beauty, you have a clear view to the vibrant wood floors that flow throughout the bedrooms as well. Additionally, in both bathrooms you will notice the recent updates along with fresh paint. 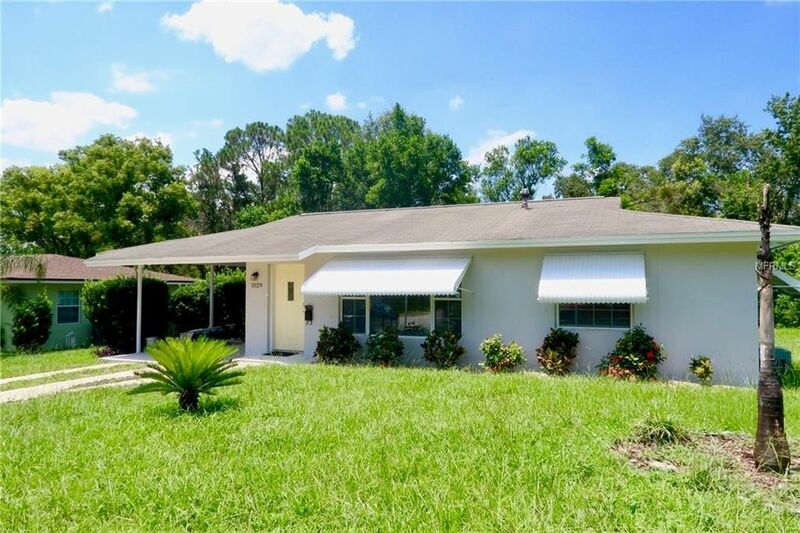 The kitchen which has brand new granite counter tops, freshly painted cabinets, and includes fridge and a stove is open to a great sized yard with a newly screened patio to enjoy those summer nights in Florida. For additional space, their is a built in car port as well. This is truly a gem in the area, priced to sell. Don't hesitate. Don't wait! Directions: Begin on Saxon Blvd and continue until making a left on Tivoli Dr.Turn left on Providence Blvd.Turn right on Fort Smith.Continue for .3 miles.Property is on left.